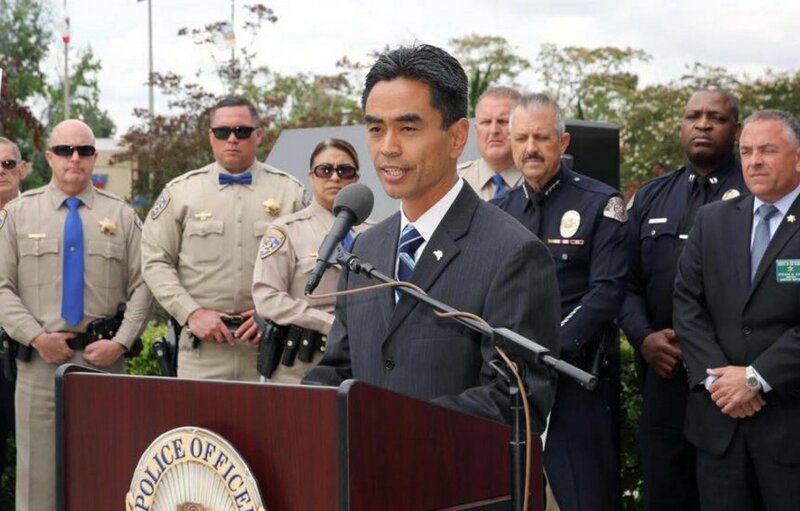 The number of West Covina police officers increased during James Toma’s term as mayor. WEST COVINA — Tuesday was James Toma’s last day as mayor of West Covina. Toma, who was elected to the City Council in 2013, was selected by his fellow councilmembers for a one-year term as mayor and was sworn in by his father, Walter, in December 2015, accompanied by his wife, Minerva, and their children, Cruz and Paz. “We hired new police officers, broke ground on our first soccer park at Orangewood, and made a number of capital improvements. We did this while balancing our budget and paying off millions of dollars of debt we inherited from prior councils. “We created an all-inclusive playground at Cameron Park for kids with disabilities, dedicated our Veterans Memorial at City Hall, and with Measure H made possible the expansion of Queen of the Valley Hospital. “We began addressing homelessness in our region, collaborating on a mental health unit, a temporary housing program, and funding winter shelters and other homeless services. “We continued our water-saving efforts, reducing city water use as much as 50 percent, installing smart water meters and drought-tolerant plants throughout the city. “We continued work on creating a new and vibrant Downtown West Covina. “We added hundreds of new businesses (Porto’s coming in 2017!) and created a welcome information package for them. “We increased social media communications to better inform stakeholders, conducted surveys to identify resident budget priorities, desired businesses, park priorities, and homeless information. We continue to work with service groups, conduct town hall meetings, and collaborate with neighborhood watch programs. Mayor Pro Tem Corey Warshaw succeeds Toma as mayor. Toma will be up for re-election to the council in 2017.